You probably have a full-sized, wall-mounted dry erase board in your classroom (if not, we’ve got you covered)…but have you considered using dry erase products throughout the rest of your room? Read on to learn about 3 types of dry erase boards that are sure to increase classroom productivity and make learning even more fun for your students. Have you ever run out of space on your white board? Nexus by Ghent is a family of compatible whiteboard products that work together to expand your workspace to give users the most space possible to create and collaborate. Design integration creates a modular and coordinated presentation/training space that can quickly change from large to small group application and visa versa in seconds. All units are portable, making it simple to move from room to room, conducive for breakout sessions away from main presentation area, and easy to pack away for storage. Tablets easily attach to other Nexus products (Caddy, Easel, IdeaWall) for additional work space and versatility. This white board activity table is perfect for small group instruction. Students love to use dry erase boards, and they will be pumped for the chance to write on a classroom table. In addition to the fun involved, teaching with this table is convenient and simplified. Rather than working on a small paper, students can practice math problems in large writing, allowing teachers to easily recognize mistakes and offer guidance. When teaching from the reading rug, many educators use dry erase easels. The problem with most easels, however, is the viewing angle. Students sitting on the sides of the rug have difficulty seeing what is written, and crucial learning is lost. 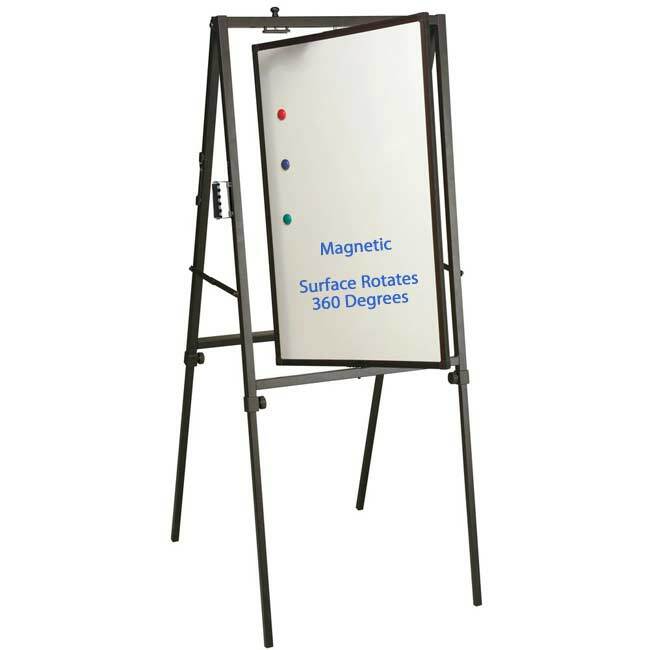 The Best-Rite Spinner Easel solves this problem with its 360 degree rotation on a vertical axis. This allows all of the students to easily view the board, increasing student engagement and learning. 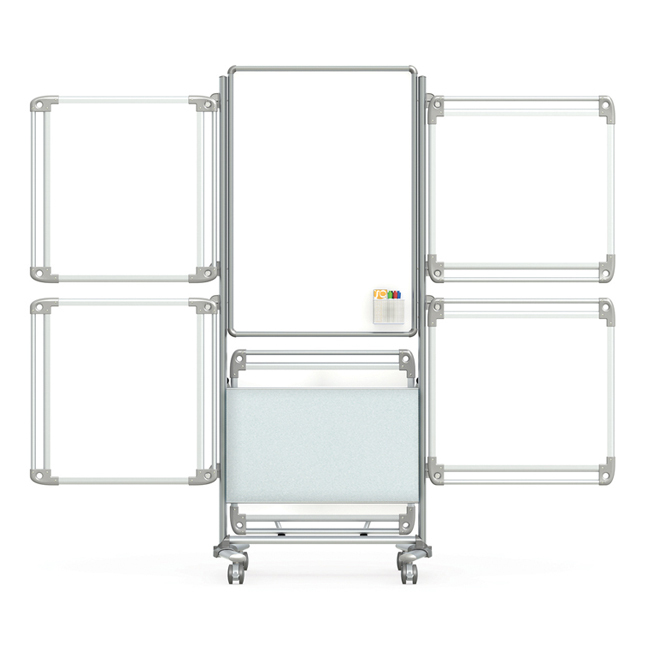 These three white board options are a taste of our expansive inventory. 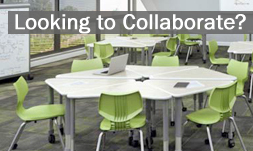 We invite you to contact us for more recommendations and to discuss which boards will work best in your classroom.